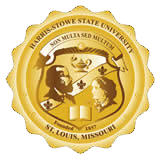 The goal of the Student Worker Program at Harris-Stowe State University is to prepare our students for the real world by providing an experience that helps mold them into the professionals that businesses are searching for. Thus, we are in the process of revamping the entire structure of our program for the upcoming school year and encourage all students to monitor their Hornet mail for communications regarding the changes that are underway. Form SWP 7 - Supervisor Evaluation - Be sure to provide raw, honest feedback on your experience this semester in the department you were assigned to. This evaluation form is used to identify what areas still need improvement. Do you need more information? Feel free to contact us Monday - Friday from 8 AM until 5:00 PM at (314) 340-3500, or email us at FinancialAssistance@hssu.edu.